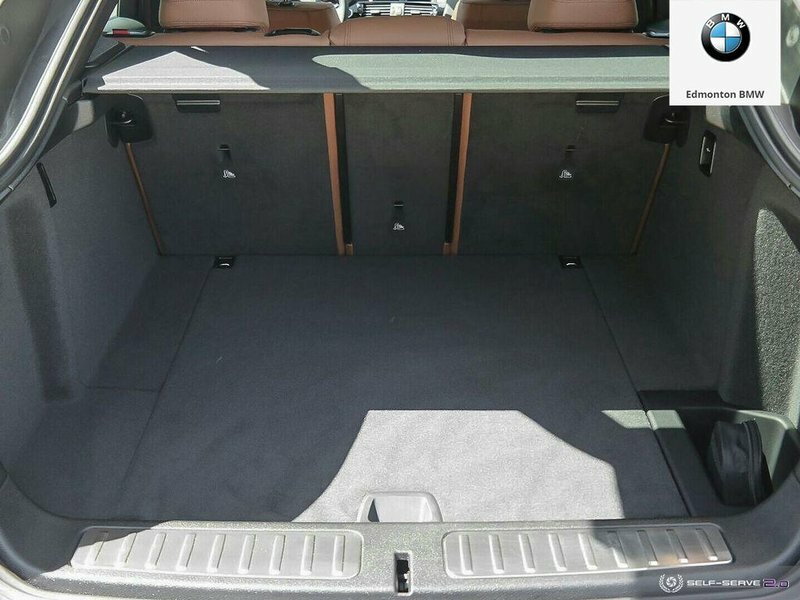 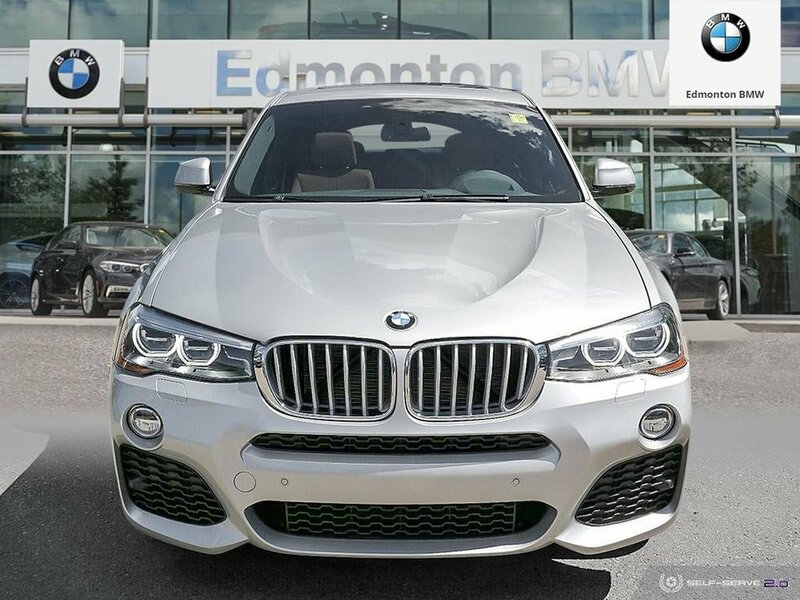 Key features include Satellite Navigation, Heads Up Display, Front and Rear Heated Seats, Heated Steering Wheel, Premium Harmon/Kardon Sound System, Sirius XM Satellite Radio, Bluetooth Streaming Audio, Backup Camera and Parking Sensors. 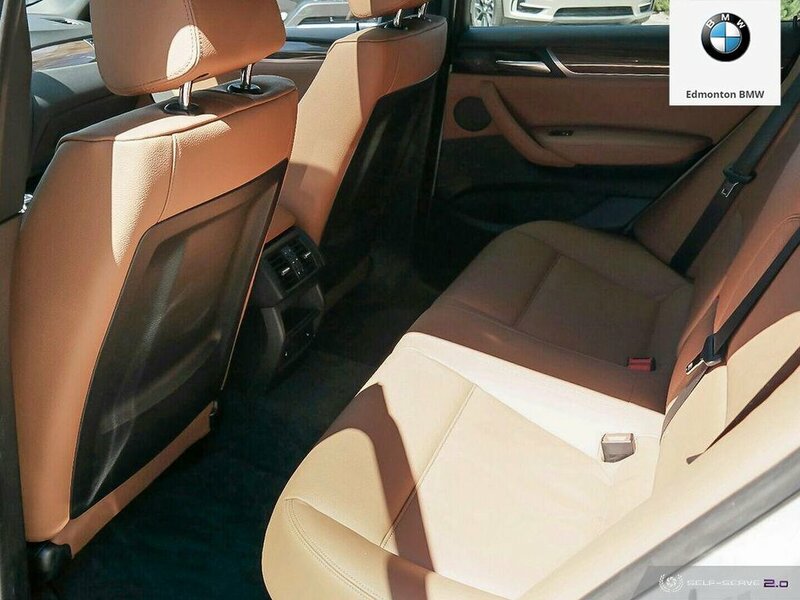 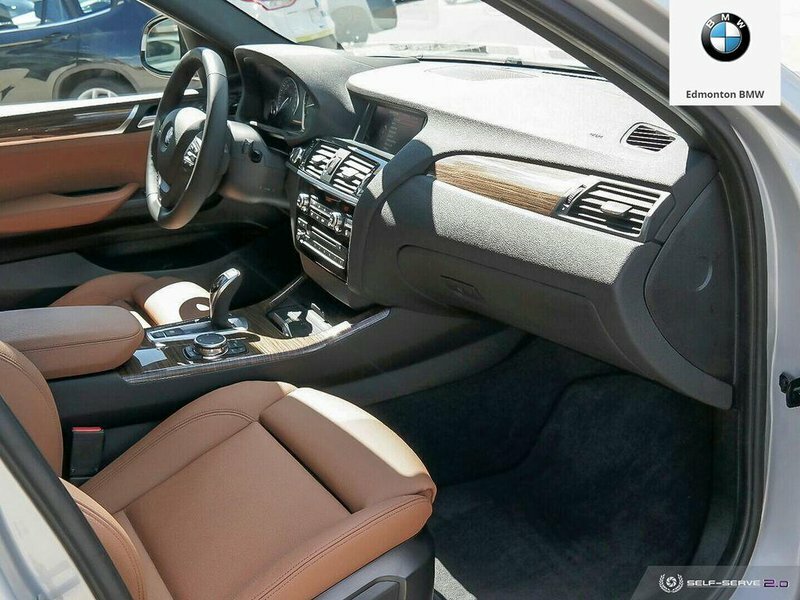 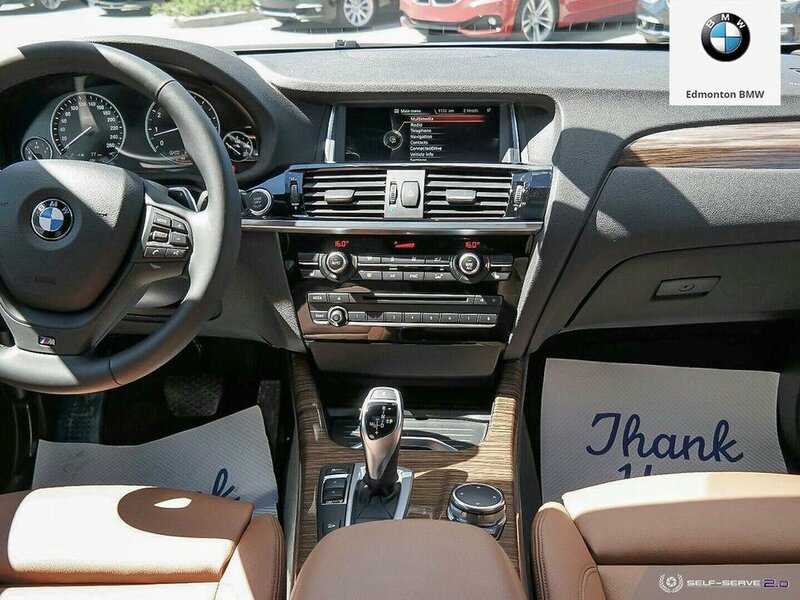 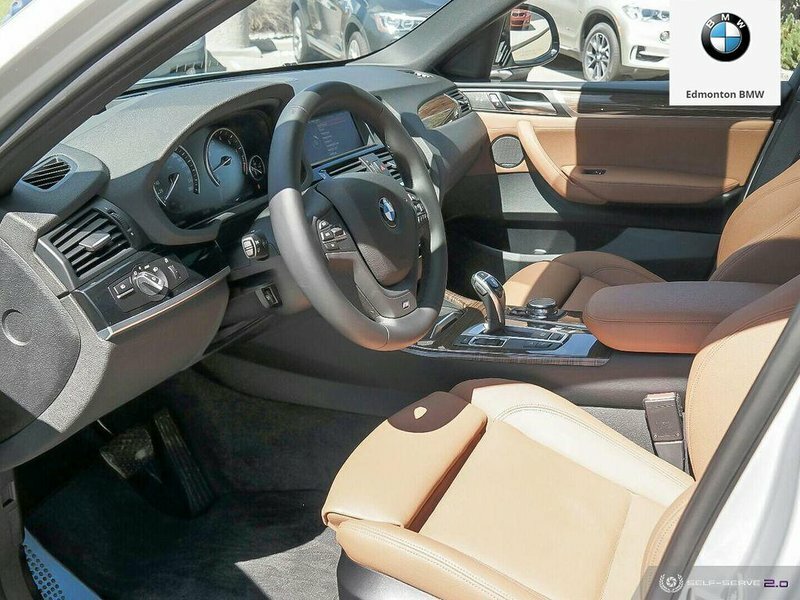 This Glacier Silver BMW X4 35i with Saddle Brown Nevada Leather and Fineline Light Wood Trim w/ Chrome Highlight is equipped with the Executive Package, Cold Weather Package, Premium Package, and M Sport Line. 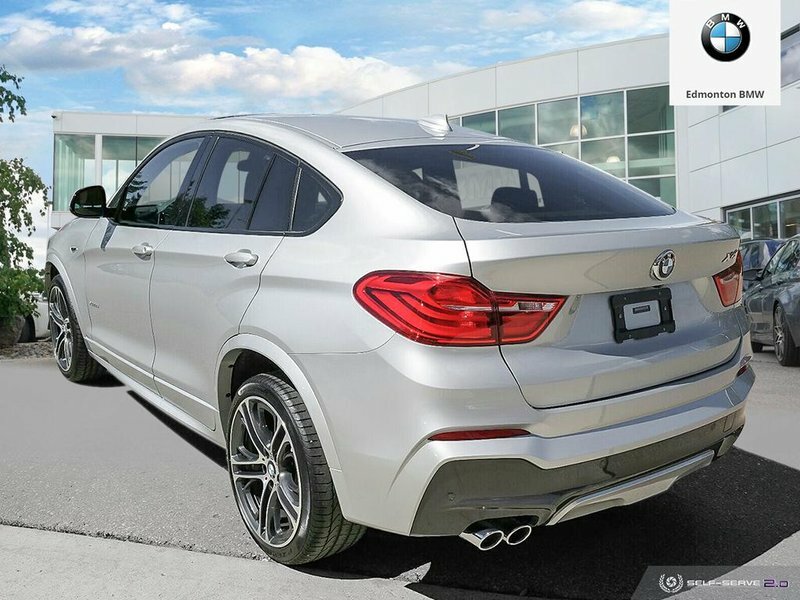 The BMW X4 cuts a striking figure, anytime and anywhere. 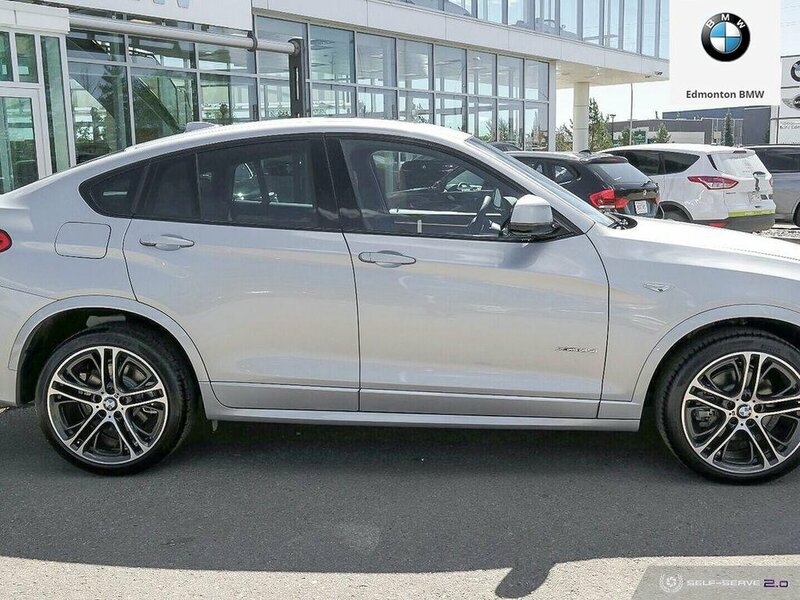 With its extroverted design, it combines lifestyle and performance and merges two things that have never been merged before in this segment: X-typical power and the aesthetics of a classic coupé. 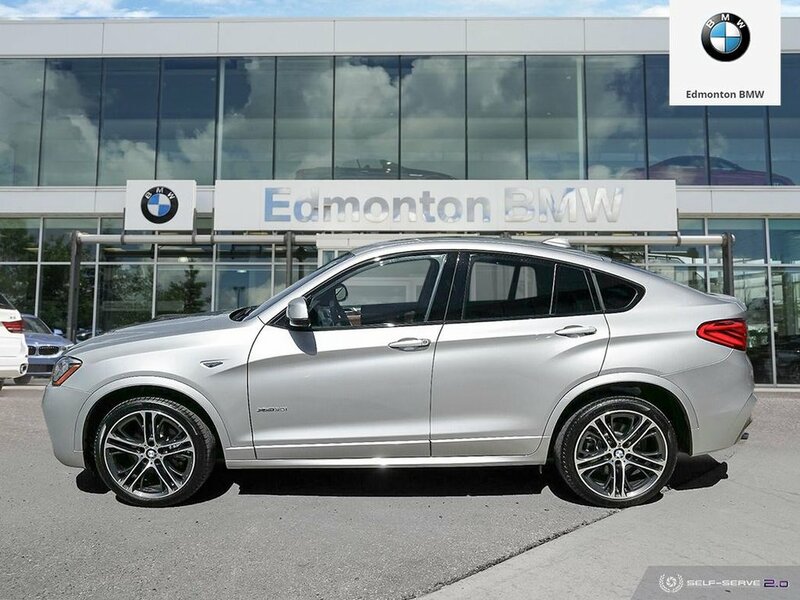 With high-performance BMW TwinPower Turbo engines and standard equipment such as variable sport steering and Performance Control, the BMW X4 demonstrates its impulsive character to the full. 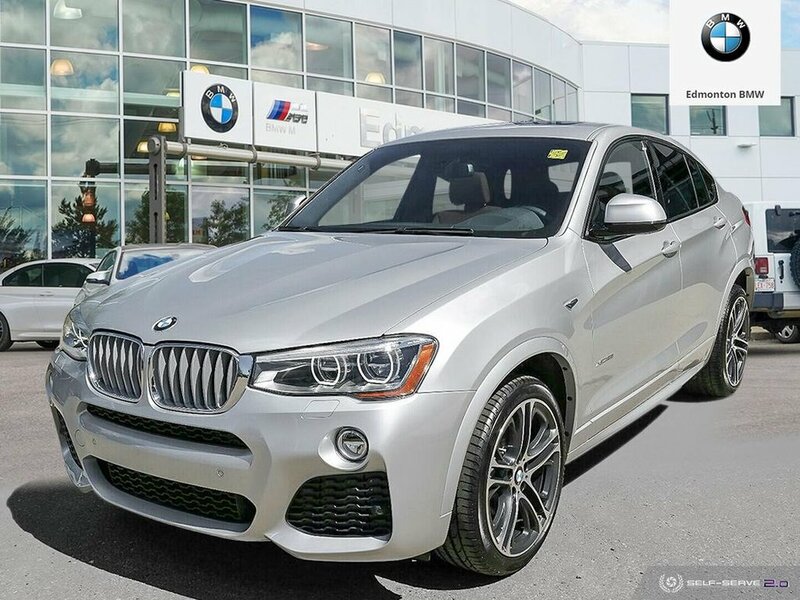 A top performance of 300hp and a maximum torque of 300lb-ft. 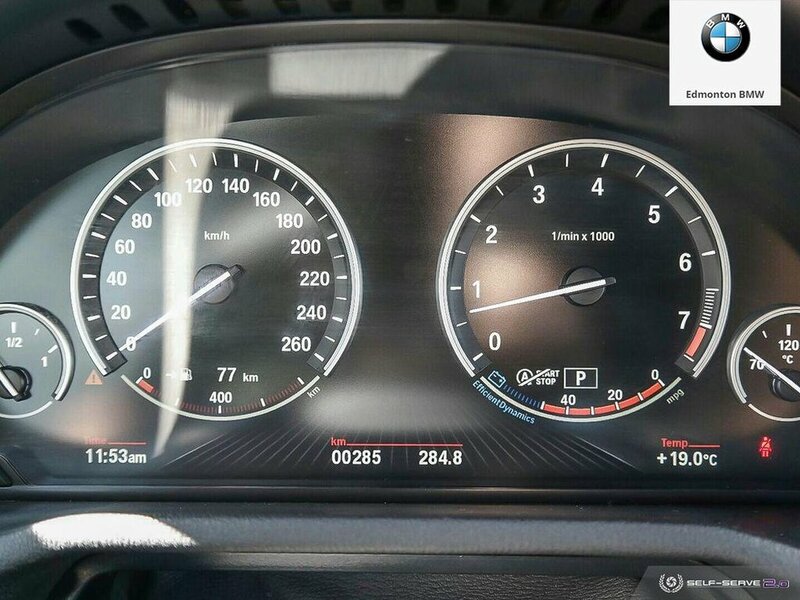 This means that the Turbo gasoline engine accelerates the car from 0 to 100 km/h in 5.6s. 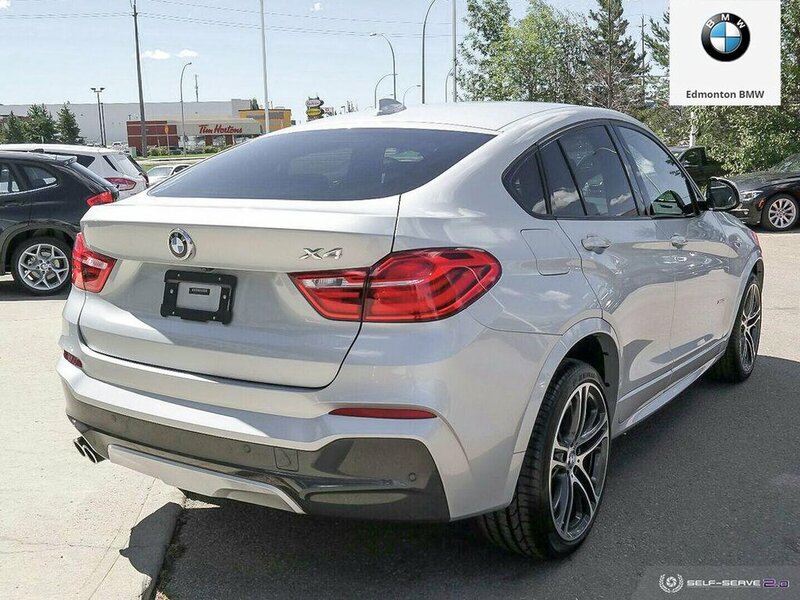 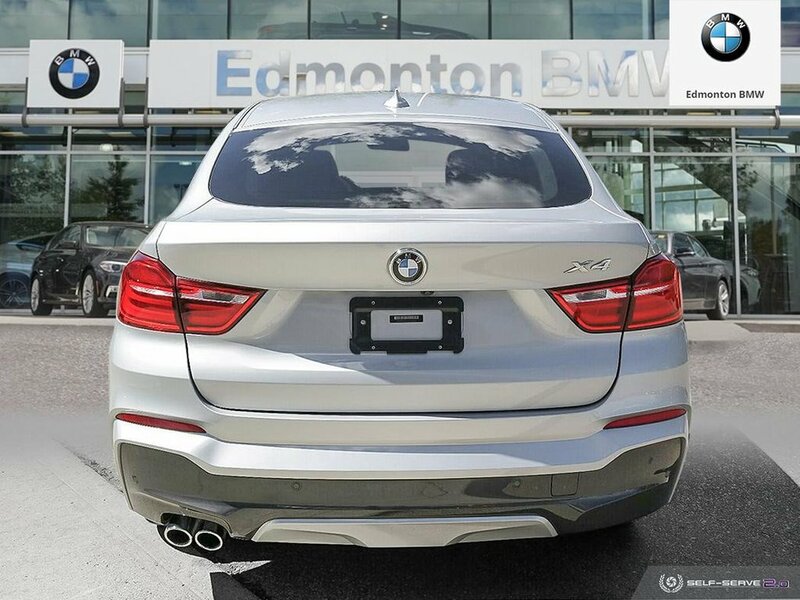 Contact our Sales Department at (780) 701-5093 or email sales@edmontonbmw.com to schedule a private viewing and test drive at Edmonton BMW, the ONLY place to experience the "Ultimate Driving Machine". 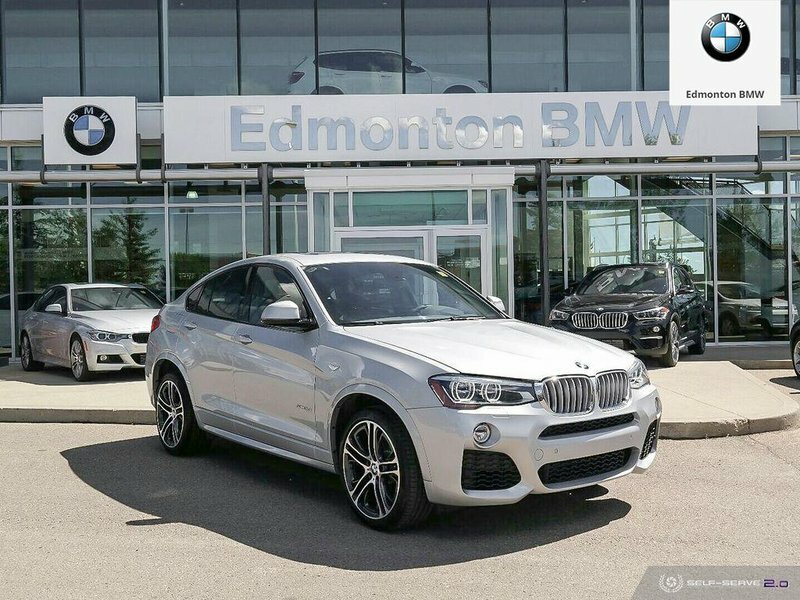 Located at 7450 Roper Road Edmonton, AB.